The plaintiff never contacted the defendant to find out the status of the pension, and the defendant assumed that she had been receiving her share of the benefit. In 2010, the plaintiff contacted the Army and they responded that because a portion of the defendant’s pay is based on disability, it cannot be divided. It is an authorized deduction and so, there is nothing left for the property to be divided. She filed a motion to compel the defendant for compensation in 2016. At trial, the judge determined that although the situation was the fault of neither party, it was nevertheless unfair and appointed a pension appraiser to determine what her interest in the defendant’s pension would have been at the time of their final divorce judgment. In the interim, the defendant was required to pay her $1800 a month, which would be taken from any of his resources. This was not to be alimony, nor would alimony be required since both parties had waived their rights to it previously. The defendant appealed, arguing that the trial judge was in error in requiring him to pay the plaintiff her share of the pension from another source. The appellate court agreed but noted that their precedential opinion in a similar case was not issued until three months after the U.S. Supreme Court’s decision in Howell. In Howell, the parties’ decree stated that the wife was entitled to 50 percent of the husband’s USAF retirement. She began receiving her share, but thirteen years later, the husband became partially disabled. This resulted in him receiving disability benefits, thus waiving a commensurate amount of retirement pay. This diminished the wife’s share of retirement. The trial court felt she had the right to receive her full share – one-half of the pension. On appeal, the state supreme court affirmed their order and held that federal did not pre-empt the trial court’s order. But the U.S. Supreme Court held that federal law fully pre-empts individual states from treating waived military retirement pay as divisible community property. That is because a military pension is a contingent right, and not a vested right and so, shares in military retirement pay may ultimately be less than what is thought at the time of the divorce in the event of a disability. Congress intended to leave out disability benefits from its definition of disposable retirement pay, and states cannot override this intent. Therefore, in the Fattore case, the appellate court held that the original calculation of the contingent pension benefit was waived once the defendant opted to receive disability, and so requiring him to pay the figure from another asset is pre-empted and reversed. That said, the court agreed that there was some injustice and that the circumstances had changed so much that it warranted the consideration of an award of alimony, despite the waiver. 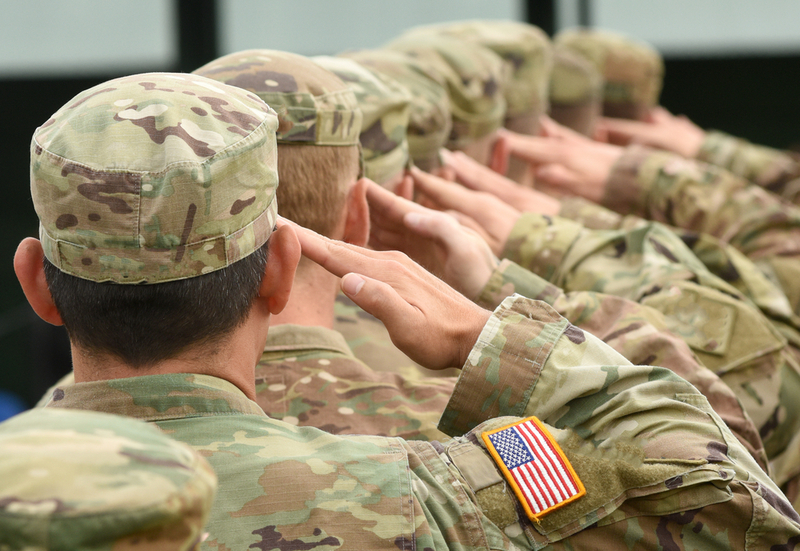 The Howell court explicitly noted that a family court is free to take account of reductions in the value of military pensions when it calculates (or recalculates) spousal support. The appellate court did not agree with the defendant that this should exclude alimony waivers. The fact that support payments are heavily tied to equitable distribution and courts need to always consider what is just and equitable and should rely on public policy. It seemed clear that the plaintiff waived her right to alimony in exchange for the promise of receiving her share of the defendant’s military pension. He had earned 75 percent more income than she did at the time of the divorce, giving greater weight to the argument that she gave valuable consideration in giving up her rights to support. This unforeseeable loss of the pension benefit is surely a substantial and permanent change in circumstances which is enough to invalidate the waiver. The court held that upholding the alimony waiver in such a situation would be ‘wholly unfair.’ The case was remanded for the judge to reconsider an alimony claim. Therefore, while this case at first appears to inject instability into divorce negotiations dealing with military retirement, it recognizes the inherent inequality in relying on money that is merely contingent, rather than vested. Legal practitioners should take account of this matter and include language in their settlements or judgments that have contingency plans for their clients in the event the community portion of military retirement is reduced under similar circumstances. If you are worried about the issues of military retirement and divorce, contact the law offices of Peter Van Aulen today for a free consultation at (201) 845 – 7400.